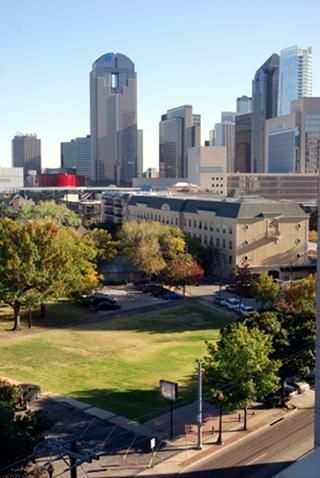 Twenty years ago Uptown Dallas did not exist. Today this vibrant neighborhood north of Downtown Dallas is a beautiful blend of residential apartments, condos and business all nestled in a charming walkable urban area. It is a major draw for the young professional crowd and new upcoming business. Currently there are three new residential developments in Uptown. The new Whole Foods on McKinney Ave. has sparked quite a bit of conversation about new residential plans for the area. It will be located on McKinney Ave between Fairmount and Routh. Gables Residential, an Atlanta based real estate developer, has confirmed their plans to construct a 50,000 sqft Whole Foods with a new 225 unit residential apartment building above . There has also been some rumor of new townhouses nearby, but it has not yet been confirmed. Here’s a link with more details. 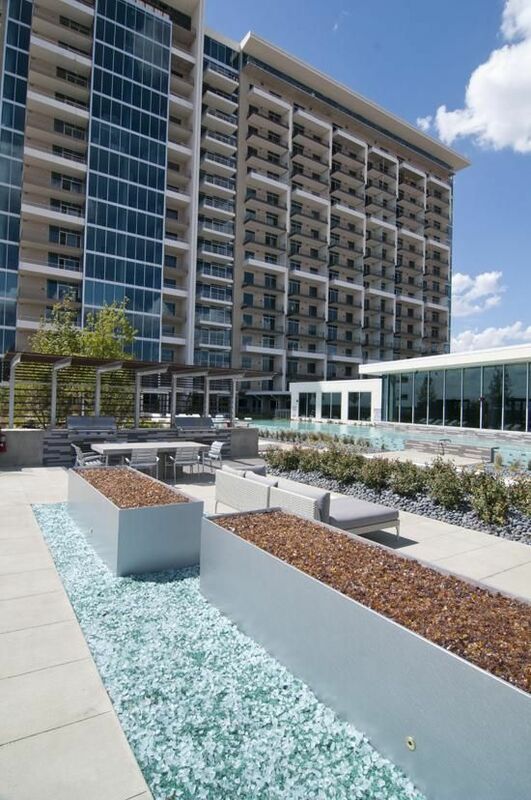 Trammell Crow Residential, a Dallas based real estate developer, has announced plans to build a luxury high rise apartment building at the end of Katy Trail near the American Airlines Center. They will be building two waterfall inspired buildings that are sure to be stunning. They are basing their inspiration off of the Coor Light waterfall billboard on Interstate 35E. The buildings will be designed to compliment the billboard. In addition to the 365 apartments in the 12 story and 5 story buildings there are plans for a 616 space underground parking garage and a 5,000 square foot restaurant. Link with more details. 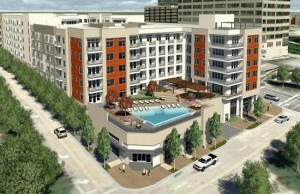 Alamo Mahattan, another Dallas based developer, has broken ground on their six story apartment building. This is the second largest Uptown apartment project that this firm has undertaken just this year. These apartments are a mere block away from the American Airlines Center. They are building a today of 263 high end luxury apartments. The ground floor will boast 3500 square feet of retail space and there will also be two levels of parking. These condo quality apartments will be in high demand. 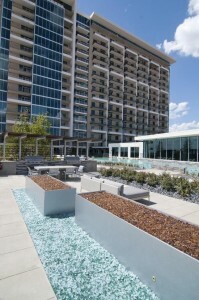 Residents will be able to enjoy a stunning elevated outdoor deck complete with landscaping, a pool, and firepits. Check here for more details.